Your would-be wifey has been hopping shop to shop, shopping for all the festivities coming your way. And all that is still a month away but why should you leave things for the eleventh hour? Especially when you too have so much to choose from, delaying things is not an option anymore for you, ‘cuz grooms, FASHION IS A GAME YOU CAN PLAY TOO! 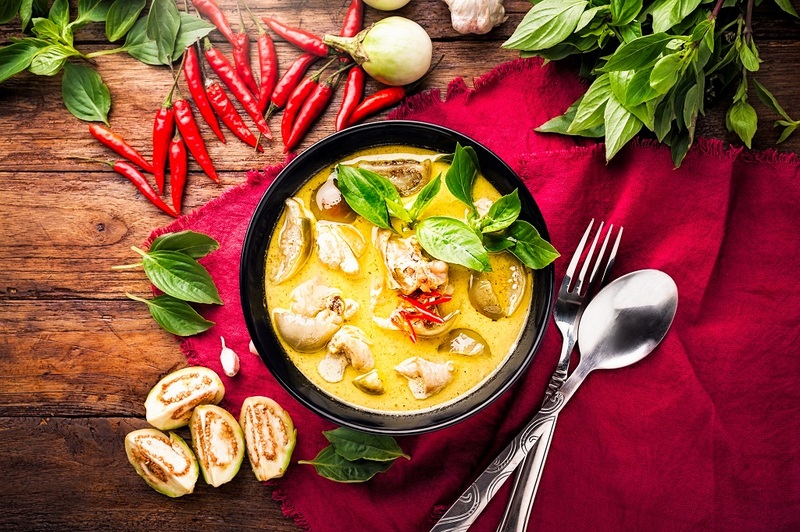 How to look your best? Scroll through! Rohit Bal is a magic maker. Since 1990, Bal has been designing for the most notable personalities. And B-Town biggies love him. 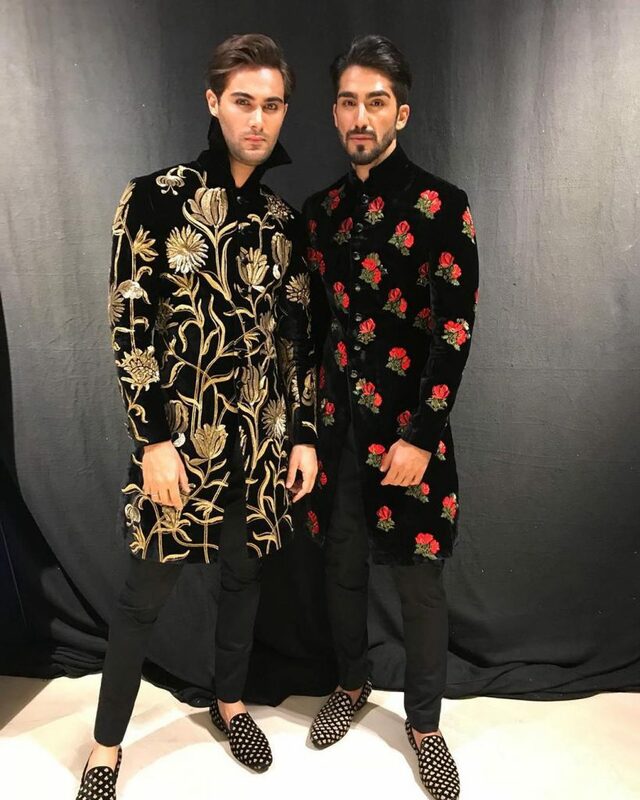 Rohit Bal has various flagship stores situated at Defence Colony, Mehrauli, Emporio DLF, Vasant Kunj in Delhi and at Lower Parel and Colaba in Mumbai that you can visit TODAY! Sabyasachi Mukherjee is ‘the man’ when it comes to anything related to shaadi shopping, be it clothing or jewellery. (Yes, Sabyasachi Mukherjee has a fine range of jewellery collection for men as well! ) He adds tremendous amount of allure to silhouettes of Indian culture. 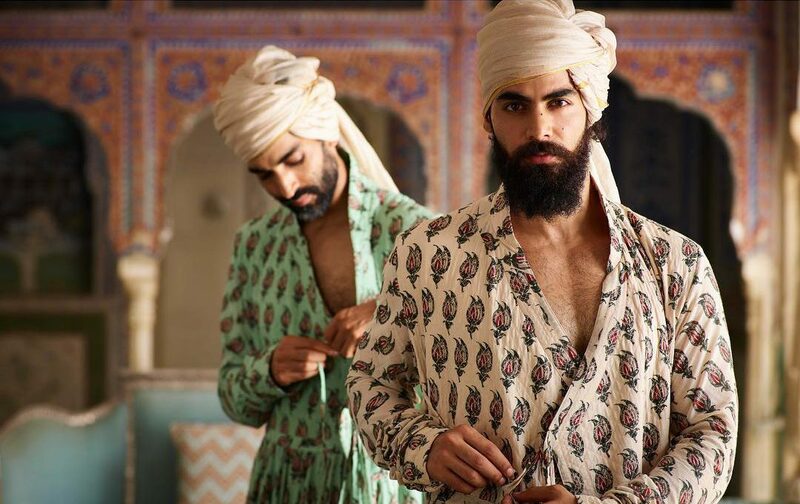 Sabyasachi Mukherjee’s designs exude royalty, opulence and pre-independence charm. 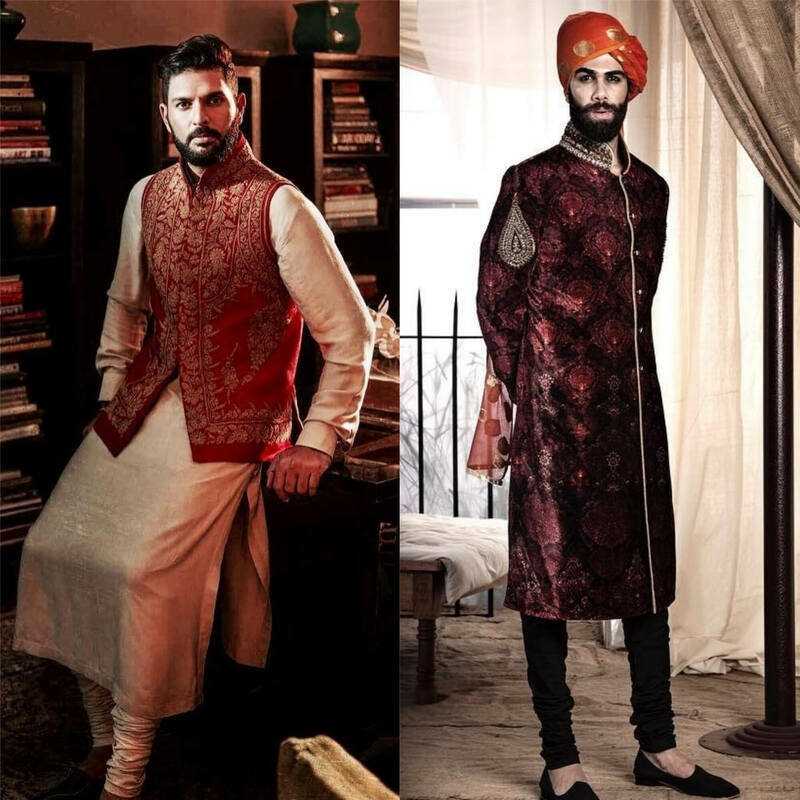 This Bengali man is fashion’s crush! Brides, you’ve got some competition now. By the way, Sabyasachi has flagship stores around the world. 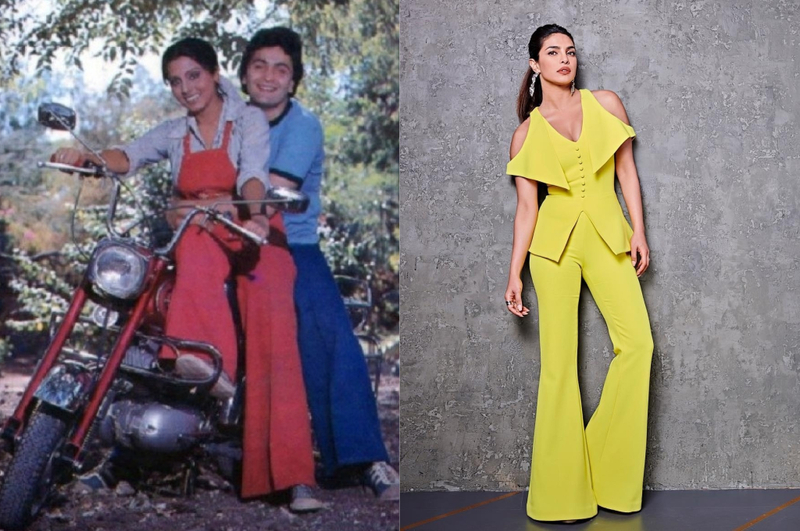 In India, one can visit his flagship stores at Mehrauli, Delhi; Topsia, Kolkata; Lake Road, Kolkata; Banjara Hills, Hyderabad and Kala Ghoda in Mumbai. 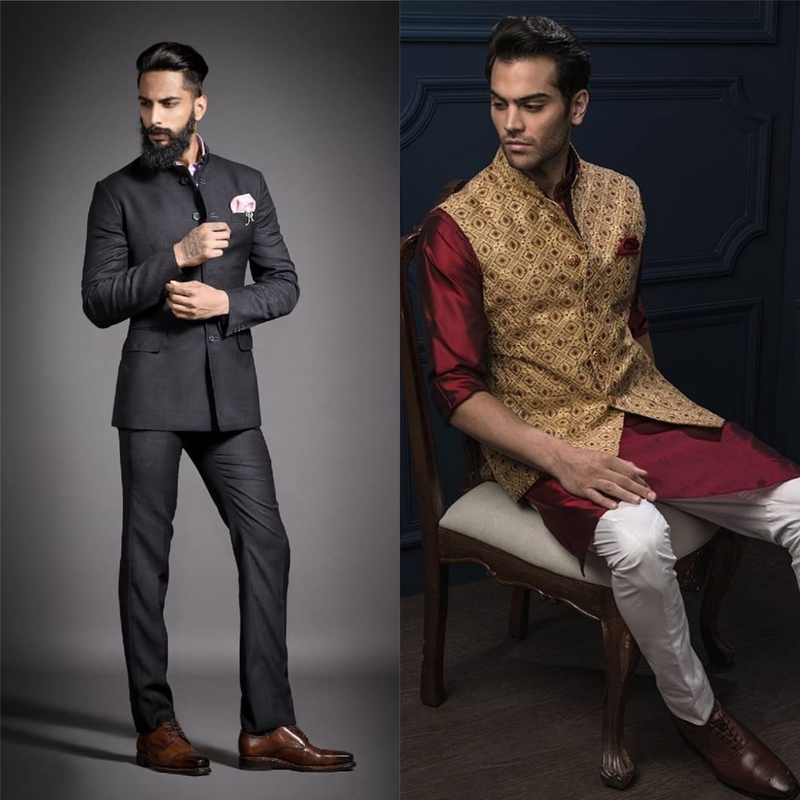 You can totally trust Raghavendra Rathore for classic tastefulness and something minimalist yet chic. Brides, you’re clearly not the only showstopper at your wedding anymore. 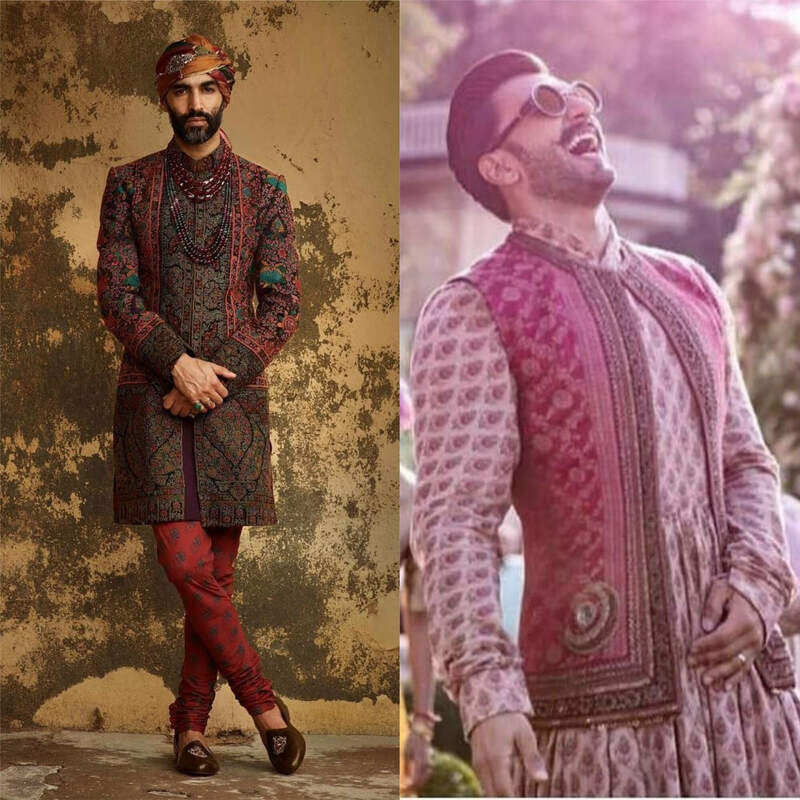 Raghavendra Rathore has dressed many of our celebrity grooms, like Virat Kohli and Anand Ahuja who have been spotted wearing his designs in the recent past. 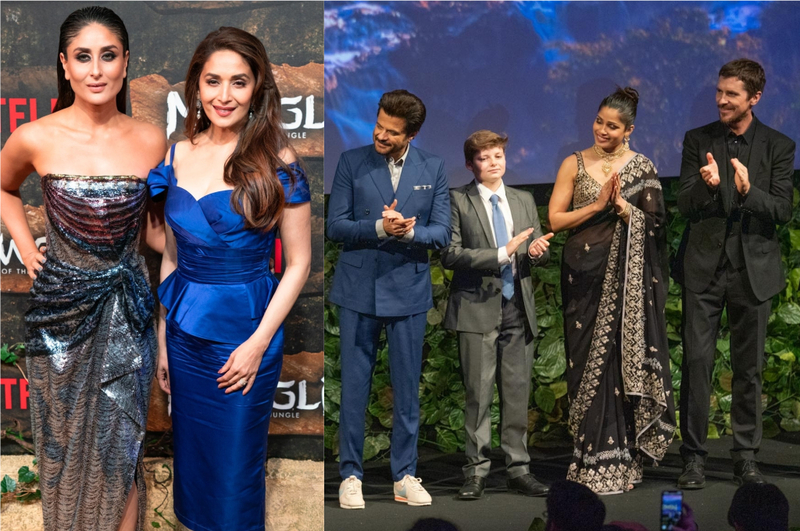 Saif Ali Khan, Ranbir Kapoor, Arjun Kapoor, Amitabh Bachchan and so many of the other glitterati are a fan. His creations are the epitome of sophistication and luxuriousness. For your information, his flagship store is at Khan Market, Delhi. 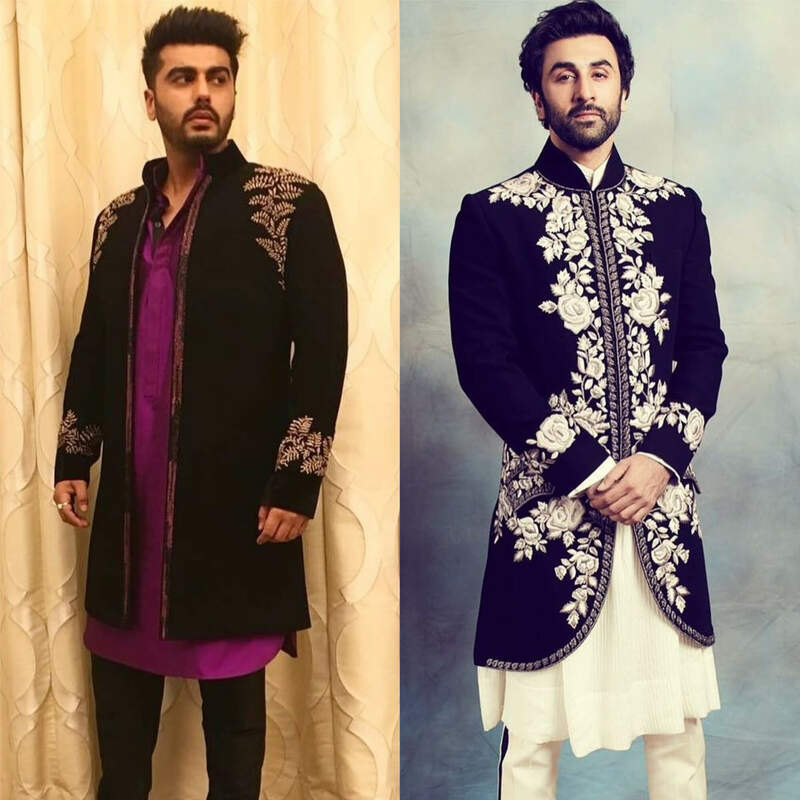 Would-be grooms, if you want to look like one of your favourite B-Town star, Bollywood’s very own- Manish Malhotra’s number should be on your speed dial. One can visit his flagship store at Mehrauli, Delhi and Flagship Bridal Store and Diffusion Store at Khar West, Mumbai. Valaya is irrevocably in love with the Mughal era, and he uses his canvas of designs to recreate its grandeur in the present. 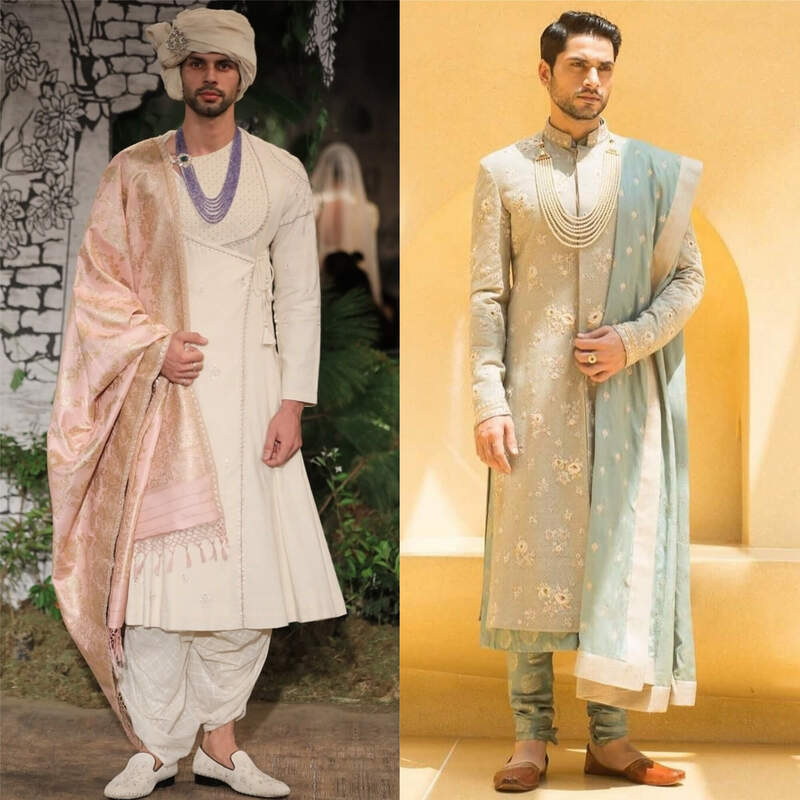 This designer is your go-to if you want to look nothing less than a maharaja at your wedding. 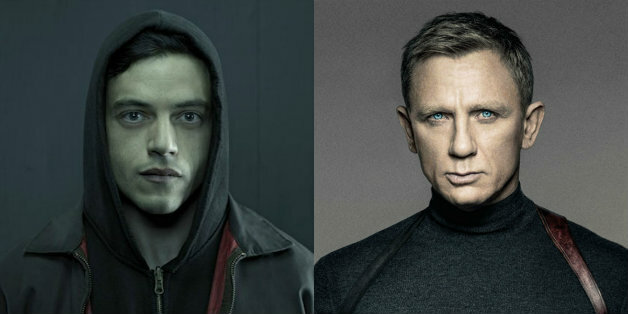 JJ Valaya has a very distinctive style which sets him apart from the others. Men, rush to his flagship store at Mehrauli, Delhi. This maestro couture designer’s timeless silhouettes and handcrafted embroideries are super stunning. Her passion lies in twisting Indian handloom, traditional weaves and eco-friendly textiles in her unique style. 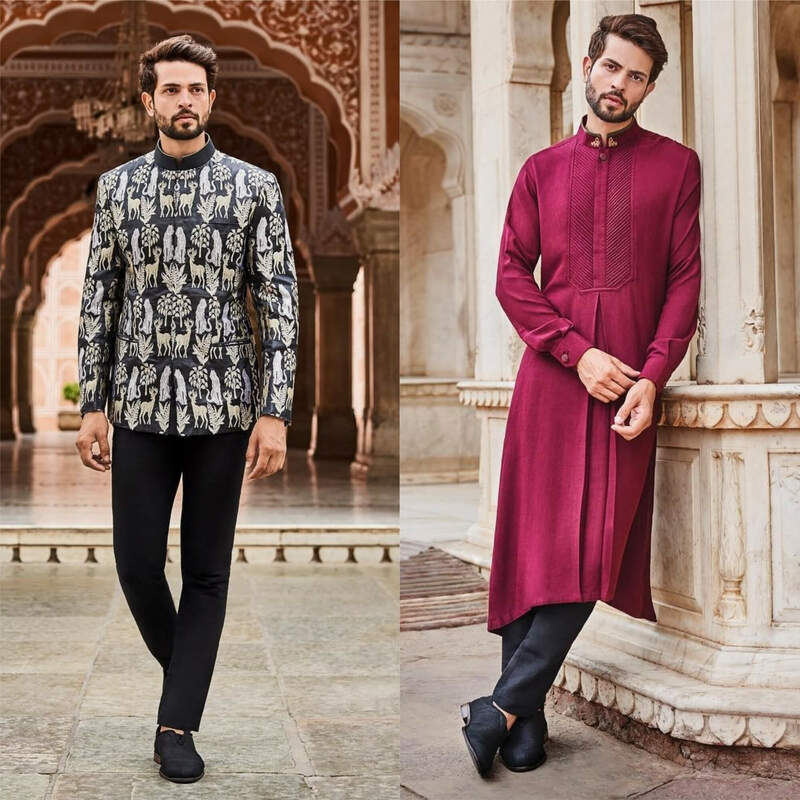 Anita Dongre’s store can be found at Khan Market; DLF Eporio, Vasant Kunj; DLF Place, Saket; and Mehrauli in Delhi, Ambience in Gurugram; DLF Mall, Noida; Juhu Tara Road, Palladium, Linking Road and Kemps Corner in Mumbai; and Elgin Road in Kolkata. This woman does not need an introduction, her phenomenal designs speak for themselves. 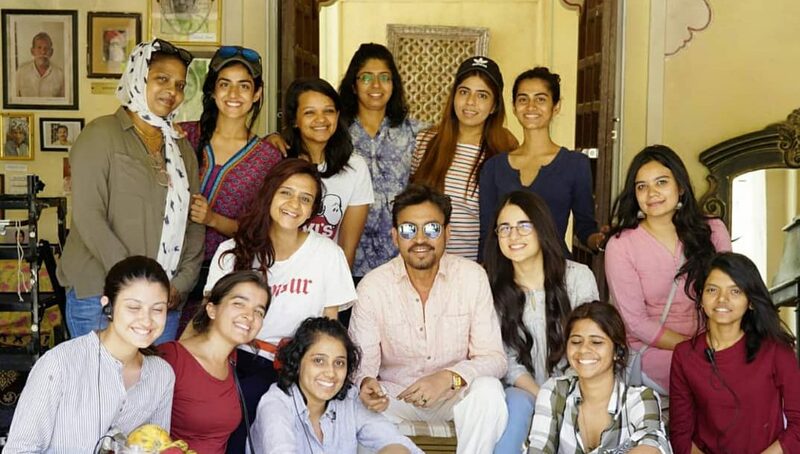 You have already gawked at her designs if you have watched Ranveer Singh and Deepika Padukone’s Bajirao Mastani and even in Goliyon Ki Raasleela Ram-Leela. Her official flagships can be found at Defence Colony, Lado Sarai and DLF Emporio, Vasant Kunj in Delhi.